Anemia is a medical condition characterized by low hemoglobin levels or red blood cell count. 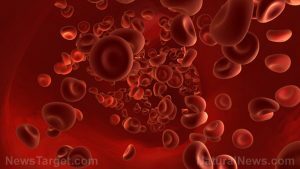 According to a Medicinenet.com entry, the disease is diagnosed when hemoglobin levels drop to less than 13.5 grams per 100 milliliters for men and less than 12.0 gram/100 ml for women. The article also notes that anemia can be caused by either a marked reduction in red blood cell or hemoglobin production, or by red blood cell destruction and blood loss due to injuries or excessive bleeding. An article posted on the News Medical Life Sciences website notes that the disease is associated with various risk factors, and treatments may depend on the type of anemia that the patient developed. According to the article, iron deficiency anemia is the most common form of anemia that stems from a lack of iron intake in diet or excess loss of iron. The entry explains that iron is a major component of hemoglobin and plays a central role in its proper function. Hence, iron deficiency leads to anemia onset. Another form of the disease called pernicious anemia is caused by a dietary lack of vitamin B12 or folate. The essential vitamin facilitates the production of heme molecules, which are important parts of hemoglobin. In addition, complete bone marrow failure results in a life-threatening form of anemia called aplastic anemia. The condition is characterized by inadequate numbers of red blood cells, white blood cells, and platelets. Aplastic anemia is caused by chronic exposure to toxic chemicals, cancer treatments, infections, and adverse drug reactions. Moreover, hemolytic anemia is caused by an enlargement of the spleen. Another form of the disease, called sickle cell anemia, is triggered by various factors such as smoking, alcohol intake, and overexertion as well as dehydration, temperature fluctuations, and constrictive clothing. Anemia is associated with increased susceptibility to various infections such as flu, pneumococcus meningitis, and Hepatitis B. Likewise, anemia may lead to hypoxia, lethargy, tachycardia or abnormally fast heartbeat, and reduced lung function. The disease may also raise the odds of sepsis, pregnancy complications, and postnatal depression. Infants born to anemic mothers are also known to suffer from premature birth, low birth weight, and reduced mental capacity. Anemia may lead to confusion, unconsciousness, and restless leg syndrome as well. Anemia is notoriously detrimental to the blood circulation. Likewise, the disease can wreak havoc on the immune system, the heart and the lungs. The condition may also affect the central nervous system. Nutritional therapy and supplementation are commonly employed for patients lacking vitamin B12 and iron. Splenectomy is performed in patients with enlarged spleen. In addition, an article posted on the Medscape website notes that bone marrow and stem cell transplantation can be performed in patients with more severe conditions. Blood transfusion is also a viable option for patients who suffer from active bleeding. Anemia may increase the risk of infections such as flu, pneumococcus meningitis and Hepatitis B. Anemia may also trigger the onset of hypoxia, lethargy, confusion and unconsciousness. Anemia may result in spleen enlargement, restless leg syndrome, sepsis and heart and lung issues. Anemia may lead to pregnancy complications, postnatal depression, premature birth and low birth weight. Anemia primarily targets the body’s overall immunity and blood circulation. Anemia is also detrimental to the heart, lungs and the central nervous system.